Published July 2, 2015 at 1600 × 900 in Tanzania20. Prof. Max Essex and others involved with the Botswana-Harvard Partnership enjoyed the sunset before dinner at Phakalane Resort in Gaborone. 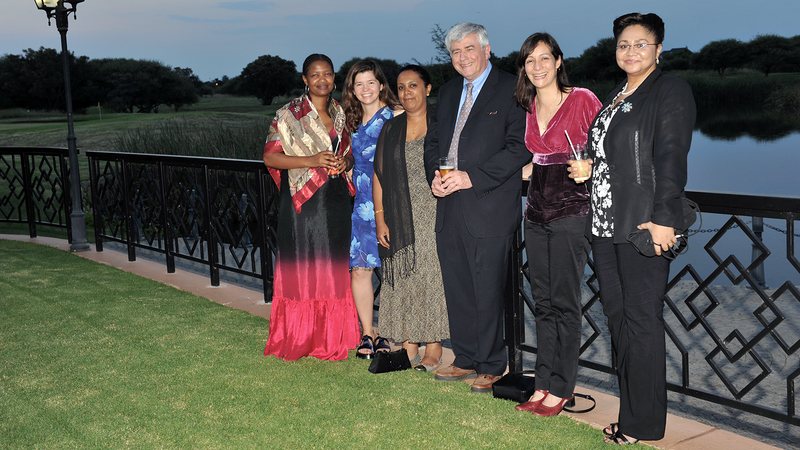 From left to right: Onalenna Nthase, Dr. Rebeca Plank, Dr. Aida Asmelash, Prof. Max Essex, Dr. Shahin Lockman and Dr. Marina Anderson. Drs. Lockman and Anderson both have MHPs from the Harvard School of Public Health.